Play Jenga with a big set! Although, if you collect a large amount of exactly the same size boxes that would surely work as well. Posted by clivegrant on 15/01/2017 in Big Board Games, Challenge, Game, Themes and tagged big, board, cardboard boxes, games, individual, indoor, Jenga, team. Simple. Use lots of buckets to create the tallest tower possible. Posted by clivegrant on 15/01/2017 in Challenge, Game and tagged bucket, indoor, outdoor, tallest, team, teamwork, tower. One Scout lies on floor with, for example, a cup of water placed on various parts of their body. Task for the rest of team is to lift off the cups of water using broom handles. Object of course is to not spill the water. Posted by clivegrant on 15/01/2017 in Big Board Games, Challenge, Game, Themes and tagged big, board, broom handles, games, indoor, lying down, operation, team, teamwork. One Scout is the ‘horse’ and either stands or kneels. The rest of the team have a time limit to see how many items they can balance on the ‘horse’. Posted by clivegrant on 15/01/2017 in Big Board Games, Challenge, Game and tagged big, board, buckaroo, Game, indoor, large, team, teamwork. Scout chooses/or is given an animal (or whatever) and is blindfolded before trying to draw it so other Scouts in the team can guess what it is. Points can be given for correct guess and time taken to guess. Posted by clivegrant on 10/01/2016 in Blindfold, Challenge, Game and tagged blindfold, drawing, guess, pairs, stopwatch, team, teamwork, timed. Groups of various objects are hidden in a bucket from the team. Team are blindfolded and sit in a circle. Aim of the challenge is to group all the objects and identify which group of objects has one less. Pour the objects in floor in front of team, they have to work together to find objects, group them and sort out which object has one less than the others. Posted by clivegrant on 10/01/2016 in Blindfold, Challenge, Game and tagged blindfold, circle, sorting, team, teamwork. 3 Scouts: one is blindfolded and allowed to move; one cannot see where they are moving but allowed to speak; the third is allowed to see where they are but not allowed to speak. In photo: Scout on the right-hand side uses hand directions in order to find a football somewhere in the playing area. Scout in the middle describes whatever the hand action might be. The blindfolded Scout has to follow these directions to find the football and place it in a crate somewhere else withinthe playing area. Posted by clivegrant on 10/01/2016 in Blindfold, Challenge, Game and tagged blindfold, course, listen, listening, team, teamwork. Create an alleyway out of benches. Blindfold 2 Scouts to stand still somewhere in the alley. Other Scouts have to creep past without making a sound and be hit by the sponge weapons. Blindfold Scouts are not allowed to just constantly swing the sponge weapon too and fro. Posted by clivegrant on 10/01/2016 in Blindfold, Game and tagged alley, blindfold, course, creep, individual, pipe lagging, quiet. Hide plenty of glow sticks over a wide wooded area. Each team has a GPS with pre-set locations of where their coloured glow sticks are hidden. They have a given amount of time to find said glow sticks and return them to base. As a bonus, if they find another team’s glow sticks they collect them also and bonus points are given. 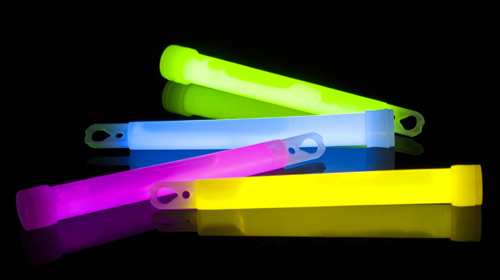 Just hide the glowsticks over a smaller area and give a suitable amount of time to recover as many as possible. As an extra challenge flour bombs, offering minus points, also work well. Posted by clivegrant on 30/03/2015 in Challenge, Game, Hiking, Messy, Wide Game and tagged flour, forest, glo-stick, gps, team, teamwork, wood. Lay out on the ground using pegs and string a large square grid formation. In secret, select various squares that are ‘hotspots’. One by one each team member has to make it across from one square to another (no diagonals) if they step on a hotspot the powder alarm is activated and some powder paint is thrown in their direction, over the t-shirt of course. Posted by clivegrant on 21/02/2015 in Challenge, Game, Messy, T-Shirt and tagged grid, individual, paint, peg, rope, string, t-shirt, t-shirts, team, teamwork, tent pegs.